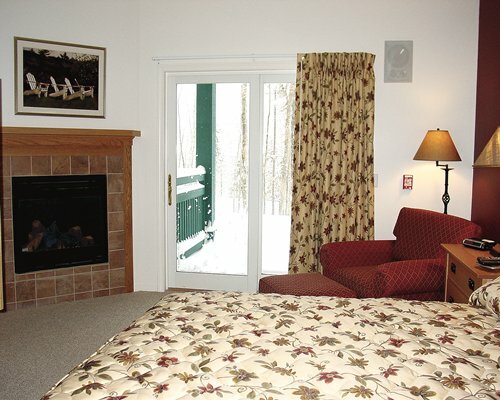 One could spend an entire family vacation at Smugglers' Notch Resort and not go anywhere else. This exciting resort offers an extraordinary range of activities and amenities, all year round. Three mountains, interconnected by lifts and trails, offer downhill skiing, cross-country skiing, and snowboarding at all skill levels. Explore over 1,000 acres and 78 fabulous trails, including the East's only triple black diamond trail. There's also snow tubing, snowmobiling, ice-skating, airboarding, and dog sledding all on-site. Indoors, the resort's FunZone Family Entertainment & Recreation Center features an arcade, bouncy house, table games, giant slide, obstacle course, teen-only activities and programs, and more. Enjoy the indoor pool, hot tubs, and massage center, or spark some creativity at an arts and crafts workshop. The fun continues after dark with evening entertainment, music, shows, and events for family and adult audiences. Enjoy a home-like atmosphere with all the amenities that invite you to spend quality time with your family. 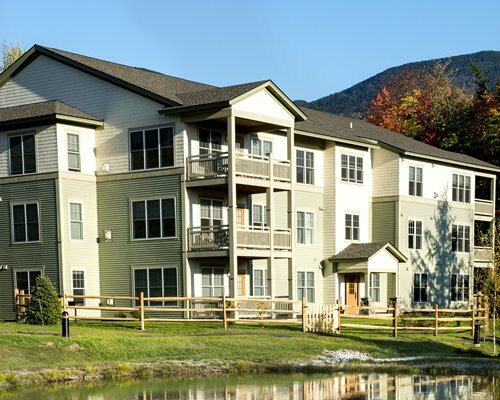 Smugglers' Notch offers two- and three-bedroom condominiums that can accommodate up to 8 and 10 people, respectively. 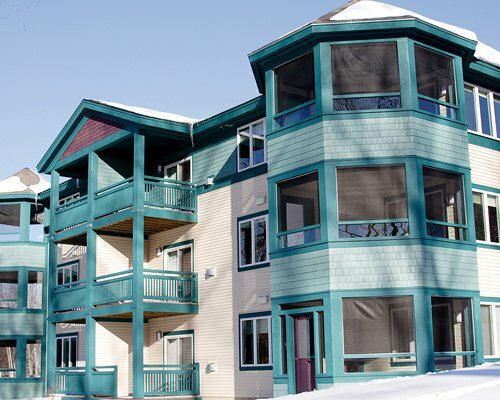 The units feature a fully equipped kitchen including microwave oven and dishwasher, telephone, Internet access, cable TV, whirlpool tub, air conditioning, washer, and dryer. 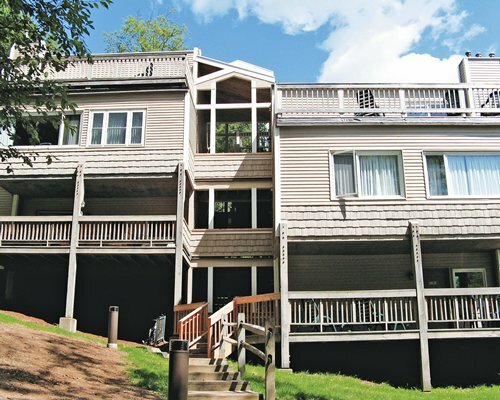 Also featured is a balcony or terrace with mountain or woodland views. 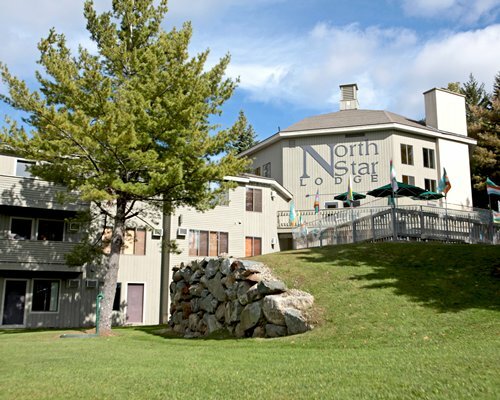 All are a short distance from the resort's center for dining, shopping, kids' programs, activities, lifts, and trails. From Burlington Airport, turn left onto Airport Rd. Then turn right onto Williston Rd. at the traffic light. Follow Williston Rd. to I-89N. Take Exit 15 (Winooski) onto Route 15 East through Essex Junction to Jeffersonville. Take Route 108 South to Smugglers' located on the left about 6 miles from Jeffersonville. From Montreal, take Hwy. 35 South to Hwy. 133 South. At the Vermont border, this route merges with I89, follow I89 South to Exit 19 in St. Albans. Turn left onto Route 104 South, follow Route 104 South to Cambridge where it merges with Route 15 East. Take Route 15 East to Jeffersonville and turn right onto Route 108 South. Resort amenities fee is 40.00 to 45.00 U.S. dollars. Cash or Credit is accepted. 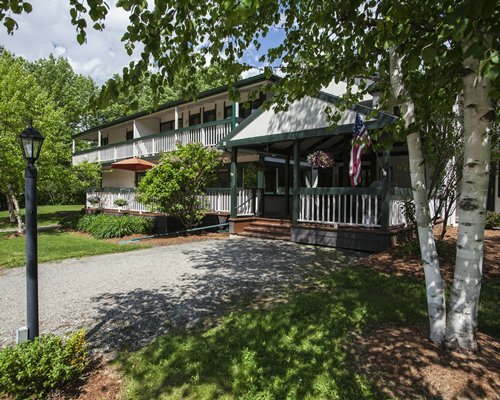 Includes wireless internet and other services. The Resort Fee will be collected upon check-in. Fee for 2 Bedroom units (per stay): Housekeeping fee for all RCI points reservations: There may be a fee of 60.00 U.S. dollars for 2 Bedroom units, per stay. Cash or Credit is accepted. There will be a partial housekeeping fee for all bookings less than 6 nights. Fee for 3 Bedroom units (per stay): Housekeeping fee for all RCI points reservations: There may be a fee of 70.00 U.S. dollars for 3 Bedroom units, per stay. Cash or Credit is accepted. There will be a partial housekeeping fee for all bookings less than 6 nights. "The One in Four Year Rule applies to weeks 1-12, 24-35 and 51-52. As with any Points reservation, unit move(s) may be required during your stay."